The audio of the skype interview was released on April 8 2014, and was the first time Cramer had come forward with his “total recall” of events that occurred during his 20 year service from 1987 to 2007. In an earlier interview with Eve Lorgen in 2006, Cramer used the pseudonym “Zed” and described what he recalled at the time of his contact experiences with several extraterrestrial races. 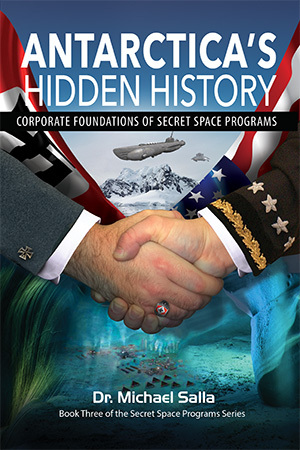 Cramer claims that in 2014, he was authorized to reveal his secret space program experiences through his military superiors in the USMC special section. M.S. 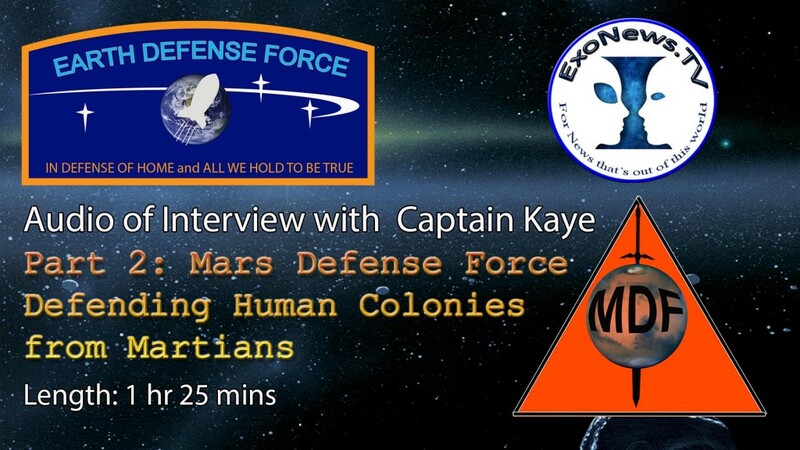 We are back with Captain Kaye and we are going to be discussing, what is the series of events that happened after he completed Project Moonshadow around the age of 17, and when he went off to do his service with the US Marine (Corps) special section. Randy why don’t you tell us what happened once you completed or graduated from the Project Moon Shadow. R.C. Sure, it was a pretty short span of time between completing the program and then I would say there was about a 90 day period where a lot of the final testing, where OK, we’ve spent as much time as we going to spend training this thing, and spent as much time as we have building it, now we have to really see if it’s going to do what it’s going to do under a lot of different conditions. So there was an interesting 90 day period of going to a lot of different places as far as ecozones, as far as temperatures, environmental zones around the planet, to see how we operate under different conditions, and different scenarios. Sometimes working with or playing war games with other special forces units. In some cases actual live fire training exercizes where for us it’s a testing exercise, but for somebody else in another country it’s very real and they’re dead because of it. They were the live fire exercise that we got to be tested on. But certainly considered not a threatening enough force that you’re going to send your high tech machinery and get them damaged or something. You can pretty much guarantee that if they’re not broken, the other team is going to have no chance of winning. Armed forces around the world have lots of AK47s and no shoes. These guys are not very equipped against skilled armed forces. If you’re in a test scenario, sure, why not send five of your supersoldiers against 50 of those guys and see how they do. Because you know your guys are going to win, but you want to see how they test under live conditions that’s a safe test. So after 90 days of that, then I was picked up under a regular routine pick up in the middle of the night, and then taken to Lunar Operations Command, and checked [into] a small living quarters area which is not much more than a jail cell size, but not a jail cell, I mean much more civilized than that. Not meant to make you feel like a caged animal, but about the same size … [with] a sink and a bathroom off to the side, a little desk and a chair. Your typical set up, like a college dorm or anything. We’re checked into that and told to wait until the sound of the bell out in the hall, and that was when everyone was supposed to come out and go to the hallway at the end of the door. Before that, two military personnel, but again [wearing] whatever sort of LOC jumpsuits, battleship gray with some gold fringe. There were two of those they looked like maybe standard security guards, not much more than that or anything else. They weren’t heavily armed, but they had side arms. They escorted us, me, one at a time, as far as I could observe seeing other people coming and going in the same hallway being escorted by another two of these individuals in their gray suits with the gold fringe, and was taken to a large waiting area outside what was clearly a large bank of cubicles in which a lot of bureaucrats in various military uniforms were pushing paperwork. A lot of people were sitting around waiting for their names or their numbers to be called up, to be signaled to come and speak to these people. It’s a fairly large well lit area where everything is done, in yellow or goldish colors. That was the color scheme at that time anyway. Fashion or any other thing could have changed that by now, but at the time it was meant to be and sort of feel like a bright sunflower yellow. Like you’re waiting for the dentist or something, but in a really big room. After some time of waiting, you’re called to come and sit down in a cubicle and have a junior officer in a uniform which I don’t quite recognize, but he identified [himself] as being an Air Force officer. This is an Air Force uniform that I’m not familiar with as far as seeing in the regular part of the Air Force. So I’m suspecting this had something to do again, with a parallel Air Force branch and what their uniforms look like, but since I’m not super familiar with them, I’m only guessing at that. He then pulls out a stack of paperwork and says, here’s your contract, I’m supposed to go over this with you, and talk about any questions you have, and get you to initial and sign in the right places, and then you move along. There was some kind of discussion of him saying, OK, this is what you are going to do, you’re signing for a 20 year tour of service, but again don’t worry, it’s going to be alright. You’ll be done, we’ll wipe all those ugly memories out of your head that you’re not going to want to remember anyway, and then we’ll interject you back to right after we took you and age reversal, and you’ll get to live your whole life all over again, and it’ll be fine. You won’t lose any time, you won’t lose any years, and in fact you’ll come back to a nice cushy job. We’ll take care of you, you’ll be fine. Lots of reassurances that it’s no big deal. Everyone does this every day, it’s just the way we do things now. A certain amount of explaining what’s in the paper work, and what’s in the contract, and [you] just initial and sign in all the right places. After not much debate or discussion, I had a few questions and he answered them, and eventually I realized as he was explaining, “look, you know, we sign this paperwork and you can move out of here. You can walk out of here to do your next thing, or we can sit here and talk a really long time about the paperwork that you have to eventually sign anyway.” He was a nice enough guy, he wasn’t being a jerk about it or anything. But it was clear, this has to be done. Paperwork has to be signed, and if I have any questions, ask them, but it really doesn’t matter. Just sign and we’ll move on. And so after that was done, then being escorted back to the temporary living quarters, and then being told to go ahead and take a break. Again wait for a bell in the hall, and then kind of dozing off, not sure for how long, hearing the bell in the hallway and then going out, going down to a long hallway, doorway at the end of this hallway. Everyone who is in these temporary quarter living rooms is coming out into the hall, and heading on down. Then we open up to larger doors, which then opens up to a much larger room, a hangar bay essentially – we were right off the hangar bay. There’s a very large vehicle, I would call it more of a delta or bat wing shape, as opposed to round shape or disc shaped. More of a delta triangle, but maybe wider. What you would call a bat type shape, but pretty tall as far as from the bottom to the top part of the vehicle, I would say it was thirty, thirty-five feet. It looked like it was multiple stories and levels inside which appeared to be the case when we were inside, and the wingspan was probably, hard to judge distances like that, from that level, but I’d say it was easily between four hundred and five hundred feet wide, wingspan, from tip to tip. Then nose to tail, less than 150 feet. The front section had a large rounded nose on it, and you could see there was a slightly curved window, surface was curved, that appeared to be where the pilots might be sitting or operating from. It was pretty high up, kind of like [the cockpit] in a 747 which is up higher than the main part of the vehicle, kind of similar to that, but again with the dimensions I stated. So I got in there, there were lots of reclining lounge seats, that sort of memory foam thing. You kind of sink in, you hear this air moving sound that kind of gets to form around, it gets a good grip apparently on your body. There’s some strap ends, and after some time of everybody fiddling and getting ready, once everyone is secure, there’s a few people that help everyone get sorted out if anyone is confused. 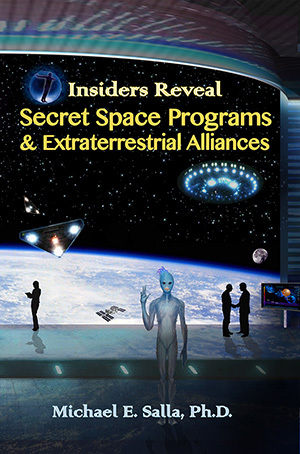 Then the lights in the vehicle dim, and not unlike in an airplane, you hear the pilot over the speaker saying, “welcome everybody I’ll be your captain for this shuttle flight from Lunar Operations Command to your next station which you will not have clearance to know until we arrive. As soon as you arrive you’ll have security clearance to know where your destination is, but until we go there, you’re not cleared. Before we leave we are not cleared to know where the destination is, but the moment we arrive at our destination, then we’re cleared to know where we are.” I think that was very amusing, in my own sort of way. I get amused about the way they do security, and make these levels of secrecy and clearance. Interestingly enough, the feeling inside the vehicle when he pulled out of the hangar bay and positioned himself at whatever distance he was from the earth, whatever perfect distance they wanted so that when the visual array came on, and the ceilings became a projection of what the vehicle was seeing in front of it. You had, not unlike in a planetarium when you are lying back in a chair and you, by artificially having that space projected on the ceiling, can have [a] feeling or experience that you’re in space, or that space is around you. When you’re moving you get that sense you’re having artificial movement or something like that. Pretty much a similar way by having a big projection, a very clear projection in front of you of what’s happening. You really had a sense that we were all hovering in space in these chairs, staring out at Earth, getting our big look for the last time, and it was awe-inspiring. It absolutely stands out as one of the most amazing moments in my entire life. The moment I was at the perfect position, staring at the planet and being able to see it in its entirety. And not in a picture, it was there. It was moving and the clouds were moving, and the lightning storms were flickering and there’s activity that’s moving very slowly or very slight of it so far away you can’t see but you know it’s there, and there’s an ability to see that’s not anything like you could see it any other way. I mean seeing it in a picture is not the same, seeing a really good high definition image on a big screen just isn’t the same. Having the sense of being so huge that you are right there looking at it, Having that image be so clear that it looked like you were looking at the real image and the ceiling wasn’t there, but it was there, I’m sure. It was just awesome. You know it was amazing to see that there was this entire thing that’s alive, it’s very clear from looking at Earth from space that she’s alive. That’s not just because there’s life on the surface of her, or just because we live there. There’s something very clear when you see this giant ball in space that it’s alive, and that there’s all kinds of people there. You don’t see borders. It’s a world without borders when you’re staring at it from space. There’s no lines that divide the countries. So you don’t look at it and think there’s America, there’s the United States. Hey there’s Germany. You say oh wow, that’s North America connected to South America, that’s Europe connected to Asia, and connected to Africa. You really just see that it’s all connected and doesn’t have dividing lines, and from that perspective, whatever anybody could be bickering or arguing about down on the surface seems incredibly small, literally incredibly small, and you just get this sense that wow, I’m really in a special place. Not just staring at this thing, not just looking at her, but I’m in special place that I get to do something where I get to help keep her safe, and everyone who lives there safe, and all life that lives there now safe, and maybe if I’m lucky, all people who will ever live there, and all life that will ever live there safe in the future because of something that I do now. That just stuck with me, and struck me. I had a moment where I felt awe inspired, awe struck and that irregardless of however this was going to end up, this was OK, and this was special and I felt alright about that, and I felt completely OK with being in that special position. I was OK with that responsibility. I was happy about that. I was OK with it. It was just an amazing experience. R.C. That’s a good question and I can’t answer all those questions because I only had seen a certain amount of it. What I saw coming in to land was a certain sizable base on the surface, in which there’s a large, large landing platform. It’s kind of terraced up from the ground, from the lunar surface, and the platform, you could have put three or four of these things [triangular shaped craft] on top of there. It was probably almost a square mile platform on which to land things on, or at least half that or more. Then there were some smaller vehicles, kind of lined up in a row. A few, almost concert-like buildings, but they were huge, they were really big, they had a rounded feature. A couple of very large squarish rectangular buildings that didn’t seem anything extraordinary or unusual, and then once inside, a number of hallways, elevators, that clearly went down to the subsurface, below the lunar surface. I got the impression from the times I was there, and the areas I got to see that the place was absolutely massive. That station that I was at was at least the size of a medium city, at least. There was probably more than one of those medium size city complexes on the back side of the moon that we have something to do with, and are terrestrial controlled, but there are also, from what I understand, because the backside of the moon has been used for so long, by so many different species. It’s kind of like Antarctica, it has these different areas where different countries and people can say we got this area, and we got this, and everybody respects everybody’s claim or area. So there are a number of areas that have been habituated by a number of different ETs that have had bases there for a long time, and they’re not going anywhere, apparently. Whether people are friendly or hostile, it’s kind of a neutral territory, so there’s places where those who don’t get along with others, cannot/be not too far from each other. But they don’t attack each other, they respect each other’s neutral space there on the back side of the moon, for whatever reason that the contracts, diplomatic arrangements is for that. I think it because it goes back such a very long time that everyone respects it. From what I also understand there’s been a couple times when war did come to the back side of the moon and it was bad enough in such a way that everyone said no, no, not here. This is neutral space for everybody to do what they need to do, but we can’t fight here or else we could risk losing the whole thing to somebody else or something. I think that was the deal. So I think it’s a pretty interesting mix of who’s there, what’s there, we’re there. What’s spread out over just what I’ve seen and what has been discussed with me. Clearly, not even all of what is there and what’s known about it has been part of my knowledge, my privy to what I’ve been briefed on. That’s about as much as I know about Lunar Operations Command. RC. I would have to guess because it was clearly multiple floors or levels in the interior and where I was at was clearly one area, and one floor and one interior, and whether the levels above and below were the same, or whether they were occupied by other cargo, storage, machinery or technology, I don’t know. If I was going to guess I would have to say that it had a capacity to move a capacity between a thousand and two thousand troops at a time. Maybe more. M.S. OK, that’s quite big. R.C. It was definitely built to move bodies for the most part. Again I’m only presuming maybe some other parts were also cargo. But it was definitely designed to move a lot of people the way it was set up. R.C. I was signing the next 20 years over to the Earth Defense Force, as a marine, as a United States Marine. That’s a question I asked, so I’m glad you asked this question …. I was like, “OK, who am I working for, what am I going to be here, help define this for me.” He said, “well you’re a marine, right,” and I said “Yes”. He says, “you’re still going to be a marine, you will always be a United States Marine, that is always what and who you will be.” He said, “but this is a contract, we are contracting you to the Earth Defense Force. The Earth Defense Force, once you’ve contracted to them, will have the ability to sub-contract you to one of the other organizations that needs people, or parcel you out to any number of EDF stations throughout the solar system.” He was like, “ah, most of them are boring, you’ll probably going to be guarding nothing, or listening to nothing, or you might get a really boring job on the ground somewhere.” He was really very [much] playing whatever was going to happen down, or wherever I might be, down. Which, not knowing where other people end up, I can’t say whether that’s part of the routine recruiters do, or whether he’s just trying to be honest. I think he was more just trying to get me to be happy with whatever his answers were so I would initial and sign so he could go on to the next person. So he was vague enough, but tried to be reassuring enough that I wasn’t going to lose my identity, or that I was not going to be a marine, or sign over to some other organization that would compromise my values or ethics as a marine. He wanted me to feel comfortable about that, and just secure in the knowledge that we do this every day and it’s all going to be normal and fine, and it’s just go to be fine which is what he wanted me to be reassured of. But he was vague enough because they weren’t cleared to know that answer yet, so I wasn’t going to find out until I got to the destination. R.C. Yes, correct. My knowledge is that was basically correct and that again since my actual knowledge or briefing on this information at this time, at that time, was limited. I did get a debriefing when I got back 20 years later which, there was a little bit more. There was a farewell ceremony, a kind of big thing. I do remember at that time getting a little more of a speech about the goals and purpose of the Earth Defense Force and why it was put together. Essentially, in a similar way that these other separate parallel organizations were created. The Earth Defense Force was a parallel yet separate organization that was created mostly out of bodies out of the United Nations. Probably centered around the Security Council, because they’re the Security Council and they co-opt anything that has to do with defense and security. So pretty much out of the Security Council, the bodies that would form the EDF were formed and put together. This parallel organization was formed and stationed off of Lunar Operations Command so they would have as little contact with the surface as possible so that there would be as little possible bleed for security as possible. It would essentially create this sphere around the planet, and outside the planet to protect it from all things that might be harmful which we had come to know by that time. There were a few things that we should be concerned about and that just standing around with open arms was not going to be a good policy. We should have some kind of perimeter defense for whatever is coming next, or for whatever our next step into the intergalactic brotherhood is. You don’t necessarily want to do that without a guard dog on your front yard. R.C. The destination was Mars, it was the Mars Colony Corporation headquarters. There were five settlements, the main settlement was called something like Mars Prime; no sorry, it was Aries Prime. They are real creative. Instead of calling it Mars they called it Aries. So Aries Prime was the primary settlement, and the first settlement where the Mars Colony Corporation headquarters was. Then there were four additional settlements where I never set foot on. From Aries Prime [where] we were, we landed, and set foot on to a platform there and walked in to a very large facility right across the open Martian plateau which was hot, and [with] a cold breeze and thin but breathable air. The temperature range is quite wide so you really don’t spend any time out in the open Martian desert without an environment suit. Absolutely not, it’s pretty fatal to do so. I think that there was some dome shielding protection and we were kind of like down Aries Prime, down in a crater almost. There’s a natural canyon wall that kind of comes up round, it sunk in so the wind doesn’t hit it too hard. It was that particular time that we came out, it was, it felt like a hot day but there was a very cold wind that was blowing and you felt like you came out at 8000 or 9000 feet or something like that. The air was very thin, but totally breathable. I was really quite surprised to be honest, to have them just open up the door and say alright head for that other door and have us walk right outside but we did. R.C. Yes, absolutely. It’s red, red, red everywhere because certainly all that iron oxide that’s left on the surface. It makes the main reflection red everywhere you look, and so not unlike, I’m trying to think now. Yes it was red sand, rocky, sandy from very fine textured sand to big boulder rocks, and very red. The only exception is sunrise and sunset, which for some strange reason, I shouldn’t maybe say a strange reason because it’s physics I suppose, there’s a period of time for maybe 15 or 20 minutes depending on the season when the sun is dropping below the horizon and it goes from red to purple. For about 15 mins everything turns this amazing shade of purple. The Martian sunsets for that reason, they’re not that bright, because the sun is pretty far away, but also amazed at how much light, being that far away, you still have. I distrust some of the things that people say about life on other planets and living on other planets, having been to another one and going, you know this is little different than what I thought it would be and what people said it is. Yes that sun is dimmer farther away, but it’s still amazing how [much] light you cast when you stick out your hand, or how much shadow is being cast when you look to see behind you to see what your shadow has cast. It’s still quite a lot of light but that purple thing really at sunset and at sunrise, is just really amazing, it’s really cool, and it’s short you only get to see one time of day, but it’s kind of dim purple everywhere. R.C. My understanding is that the Mars Colony Corporation, again like every other part of the EDF [Earth Defense Force] is put together from parcels, service persons, scientists, advisors, engineers, business people, anybody that you want to put into the pool to be utilized, is put into the pool, and from those pools, decision makers pull out names and make lists of people that decide to do things. My understanding is that the Mars Colony Corporation was set up by multinational interests so that of all these different countries that participate they got together with their various parcels of business people, engineers, mining people, military advisors, intel people to get together because we need to form the Mars Colony Corporation so that we can go there and make it profitable. You know we can’t just spend trillions of dollars going to Mars for purposes of exploration without finding ways of extracting resources from it and make it pay for itself. Otherwise it’s just not going to go. So it was put together, all those various individuals, I don’t know exactly who they were, or who picked them, or what that process is other than whatever individual processes those countries have to put people into the pool, and which ever committees out of the [UN] Security Council, the EDF, or MJ-12 or ACIO [Advanced Contact Intelligence Organization] will get to decide then who does what. The Mars Colony Corporation was set up in about 1974/1975. My understanding is that we were on Mars the very first time around the mid-60s, but really didn’t try to do anything serious, or really prepared to do anything with that until the 1970s. My understanding is that our first exploratory mission that was sent there to stay any length of time was 1970. Then after a few years it was decided that we were ready to go ahead and establish a Mars Colony Corporation foothold, and set up a few settlements and attempt to do some mining, and extract some resources to make it pay for itself. Apparently that was about 1975, when the Mars Colony Corporation set foot on Mars and started its first mining operation. That was 1975 to my understanding, as I was briefed.